The capacity of the metabolic networks of different plant tissues is a key determinant of the yield of crop plants. Of particular importance is the capacity to assimilate environmental carbon (CO2) and nitrogen (NO3), the capacity to transport the resultant sugars and amino acids to the sink tissues (such as tubers, fruits and seeds) and the capacity of the sink tissues to convert the incoming sugars and amino acids into storage compounds. There is a great deal of interest in increasing the capacity or efficiency of these metabolic and transport processes by genetic engineering. Many of the current research consortia working in this area are focussing on the initial processes responsible for C and nitrogen assimilation in the source tissues. However, it is clear both on theoretical grounds and from experimental evidence that whole plant fluxes of C and N are co-limited by the metabolic capacities of both source and sink tissues. This is especially true if the source capacity is increased: control will inevitably shift to the sink tissues, the metabolism of which will therefore severely limit the yield potential of an engineered crop. 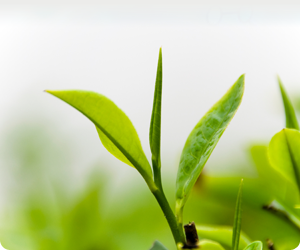 In this project, we will implement a metabolic engineering strategy of unprecedented scale in plants. Not only will we engineer both source and sink tissues, but we will target multiple metabolic and transport processes in each in an attempt to remove flux bottlenecks from across the metabolic network. The project will exploit the new technique of biolistic combinatorial co-transformation which allows the stable integration of an unlimited number of transgenes into a single locus in any plant amenable to biolistic transformation of the nuclear genome. Based on prior knowledge, we have identified 18 transgene targets which will be introduced into tomato plants. We will generate a large library of up to 200 transgenic lines and these will be screened for fruit yield, with the expectation of achieving a step-change in yield in comparison to the introduction of small numbers of transgenes modifying just source or sink. In addition, the project will undertake extensive research to identify additional metabolic bottlenecks (by comparison of metabolic network fluxes and enzyme activities), to identify transporters involved in fruit nitrogen allocationand to identify strong genetic alleles for harvest index and fruit nitrogen content (based on analysis of tomato introgression populations). This research will provide additional targets which will be super-transformed into the best performing transgenic line to assess the scope for even further yield increases.